Kaja Kallas is an Estonian MEP from the liberal ALDE group in the European Parliament. 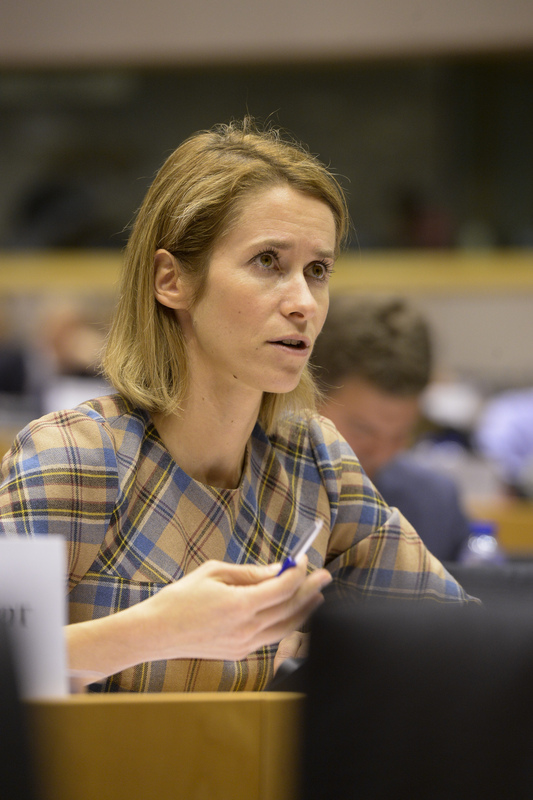 She spoke with EURACTIV’s Jorge Valero. What do you expect from this DSM report, given the broad feeling of the delay regarding the Commission’s proposals. Do you expect to frame the debate or the report is rather a wake-up call for the executive? The report is what the Parliament wants to see in the legislative proposals. But, as you said, we are very much looking forward to seeing the Commission’s proposals, so we can start working on them as fast as possible. As many people pointed out, it is all about time. If we are not fast enough, member states would come up with their own rules and we would have a mess. From an economic point of view, companies are not willing to invest on ‘big data’ or cloud computing, for example, because they don’t know what kind of rules the EU will adopt. There is no legal certainty. Speaking of legal uncertainty, do you foresee a deal on the new ‘safe harbour’ agreement to transfer data between the EU and the US before the end of January deadline? We don’t see it right now. End of January looks closer than the proposals. And certainly the consequence will be legal uncertainty. The essence of this problem is that 28 data protection authorities will start dealing with data transfers across the Atlantic in 28 different ways. That is a problem. Regarding your report, what amendments have been tabled at the committee stage? Overall, there have not been numerous amendments. We (the ALDE party) also made some amendments for small things. For example, we watered down the negativity of the paragraph on the consequences of working from home. Initially, it said that the mobile dependency could trigger burnout. We turned it around in a positive way. There are such a negative risks but also being a self-employee increases your autonomy and makes the work-life balance easier to achieve. Which are the most controversial points? There are some paragraphs that will be split to vote. The most important where the outcome is uncertain is the reference to online platforms dealing with cultural goods. The text says they should be treated in an specific manner in line with the principles of the UNESCO convention. This is very problematic because, first of all, cultural goods are not really defined. Therefore, a lot of platforms probably deal with these items as well as other non-cultural goods. If you ask for specific regulation to apply to these platforms you create a lot of mess. I hope this does not go through. It is a slippery road to go. The UNESCO convention is a good text, but it does not fit here. Experts still disagree on the definition of online platforms. Is this not the root of the problem? Exactly, but we don’t want platforms to be defined because there is no one-size-fits-all definition. The issue is not platforms themselves but specific problems related to them that we should address. Hopefully the consultation launched by the Commission last year will help us identify these problems. Although the report is very supportive of the sharing economy, Uber-type firms trigger some concerns in various aspects, including on social protection. Do you expect some difficulties in the plenary vote? There are some amendments on this, but we got quite balanced provisions in the report. We point out the problems but also we agree that the current [labour] rules are not useful anymore. Working relations are not as hierarchical as they used to be in these new companies. This is not a bad development. It is just that the labour relations are changing. And you need to take this into account. Is this growing presence of self-employment hampering workers’ social protection? It is a question of balance. In the existing employment relations, you are not that free. You are obliged to follow your employer’s instructions. So the more freedom you have, the more responsibilities you get. You cannot just take the freedom. On spectrum, the European Commission is expected to come up with a proposal in February. Spectrum allocation is key for the development of 5G networks, the Internet of Things, and the digitalisation of industry in Europe. Do you believe spectrum should be an EU competence? In our report there is a strong call for an harmonised spectrum approach, which is different from the Council’s view. As we all know, the member states fear losing the money from the licenses and the auctions. The Commission’s approach is to agree on the band usage and not to take any money from the capitals, so the national governments should agree to this. Should it be a trade competence, as argued by Pascal Lamy? It is a very strong statement, but I would agree with Lamy, because it cannot work otherwise. A good starting point is to harmonise the conditions. But eventually the member states should agree to this, otherwise the technology would not function properly. Cybersecurity is also covered by the report. As you come from a country (Estonia) well advanced on cybersecurity, is the EU well equipped to face cyber-threats? Definetly, more should be done. In this field it is all about improving, because the ‘hackers’ also improve constantly. And, as we said in the report, it is important to understand that security is not only an issue for governments, and companies and people should do nothing. Absolutely not. It comes down to the weakest element of the chain, which is very often the person, who puts similar passwords for everything, or even writes them down on a post-it on their computers. Are many MEPs indescreet with their passwords? Actually what really surprised me from the Parliament is that the lobbyists come with data sticks (USB). I always tell them: ‘do you really expect me to accept that?’ It is very easy to get a virus like that! But I was surprised that the lobbysts were struck by my reaction. Perhaps many of the MEPs accept them. I don’t say the lobbyists have bad intentions, but the mindset from people should change. Why isn’t someone ensuring Utilities & Services are fully part of the single market before embarking on other pieces of the jigsaw? We have been waiting for over 40 years & still it looks like a bridge too far for the protectionist states like France & Germany. The EU is pointless to the us without access being made available to our biggest industries. Can anyone imagine the fuss if we blocked German heavy industry from access to the UK or French food & Drink giants access to UK supermarkets?